HIGHEST POINT: KHARDUNG PA PASS 18,380 Feet. ATTRACTION: Leh ladakh, monastery of Ladakh, Culture and People, S Alchi , Hemis Monastery, Nubra Valley, and Pangong Lake. Day 01 Leh Leh Buffer day in leh where you can explore the market and enjoy it freely, Overnight at Shanti Guest House. Day 02 Leh Upper Indus valley Today we will go to visit the upper Indus valley where we will go to visit the Shey Place, Thiksey Monastery, and Hemis Monastery. Day 03 Leh Lamayuru -Alchi Today, we will take you to lamayuru -Alchi (Around 110 Kilometers west of Leh, south of the Indus River, is the little village of Alchi. It’s one of the most beautiful villages in Ladakh and an ideal place to get a feel for Ladakhi village life. Apart from its blissful tranquility, Alchi has some of the subcontinent’s most impressive collections of Indo-Tibetan artwork).En route Visit Likir Monastery (Located at a distance of approximately 62 km to the west of Leh, the Likir Monastery dates back to the year 1065. 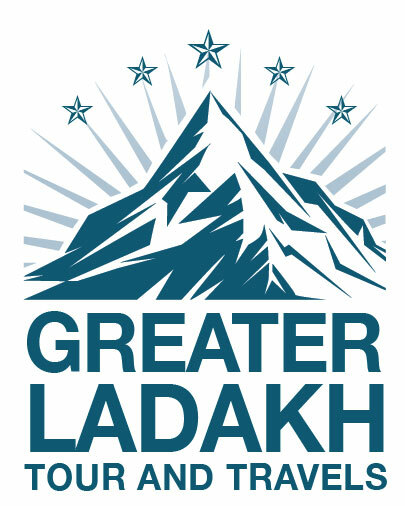 It was during the reign of the fifth king of Ladakh, Lhachen Gyalpo, that Lama Duwang Chosje was offered land for building a monastery. A great champion of meditation, the Lama blessed the site and the monastery was built. The name Likir means “The Naga – Encircled”. The Likir Gompa at Ladakh was so named, as it stands encircled by the bodies of the two great serpent spirits, the Naga-rajas, Nanda, and Taksako. 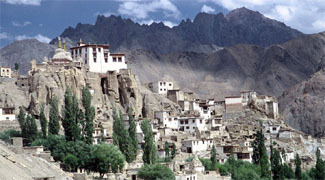 The 15th century saw the Likkir Monastery of Leh Ladakh flourishing under Lhawang Lodos Sangphu, the disciple of Khasdubje. It was then brought under the Tsongkhapa order and continues to be so till date. Even today, the ritual and observances of the three basic Pratimoksa disciplines, the basic Buddhist teachings, stand preserved here. The Likir Monastery of Ladakh constitutes of a number of sacred shrines, along with a protective deity that stands to wear a golden armor) and Basgo Monastery ( 40 km from Leh is a town called Basgo, once the capital of lower Ladakh. It was the seat of power of a branch of the Namgyal family. Lamayuru, home to one of the most famous and oldestMonasteries in Ladakh. The landscape here is also known as Moonland, as it resembles the lunar landscape.Upon arrival check in at the hotel.In the afternoon pay a visit to Alchi Monastery (The village of Alchi is famous for the existence of Alchi Gompa- one of the oldest monasteries in Ladakh mainly known for its wall paintings, which date back almost a thousand years. Founded by Ringchen Zangpo and situated in the middle of the village with elaborate pillars, priceless frescos and the extremely beautiful Buddhist wall paintings of the 10th century, this world famous temple resembles the influence of Indian Buddhism rather than Tibetan Buddhism). Today you will drive back to Leh. Day 04 Leh Nubra Via Khardung la pass 18,380 feet. After Breakfast drive to Nubra Valley via Khardungla (Highest Motorable road in the World, 18,380 ft) Arrive at Hundur by afternoon. Lunch at Camp, rest of the day one is free to explore Deskit, Hunder Villages and camel Safari in Sand Dunes between Deskit and Hunder Village. O/N Nubra Valley at Royal des camp On arrival in Hunder we will fresh up and then we will go to see the Sand Dunes of Hunder where the Century old Double Hump camel were present, those camels were used during the famous “Silk Route ’’ you can take a tour around the sand dunes while riding the double hump Camel. Day 06 Leh Pangong Lake via Changla pass 17,350 feet After early Breakfast leave for Pangong Lake (14,500 ft) through Changla Pass 17,350 ft, it is the third highest motorable road in the world. Arrive Pangong, it is the highest salt water Lake in the World, shared by two countries India & China. Packed or Hot Lunch will be provided. Enjoy the beauty of the lake on the Banks of Pangong while appreciating the changing Colors and fascinating high altitude of the Lake. Overnight at Pangong Delight Camp. Day 09 Leh Delhi We will transfer you early in the morning to the Airport and then you so you can catch your flight on time for the further journey.